The Hub is AMT’s corporate intranet accelerator, built for SharePoint 2016 and SharePoint Online, both classic and modern. It is a great way for companies to get SharePoint installed and implemented, get staff trained, and have the whole thing up and running in a fraction of the time it would take by starting from scratch. 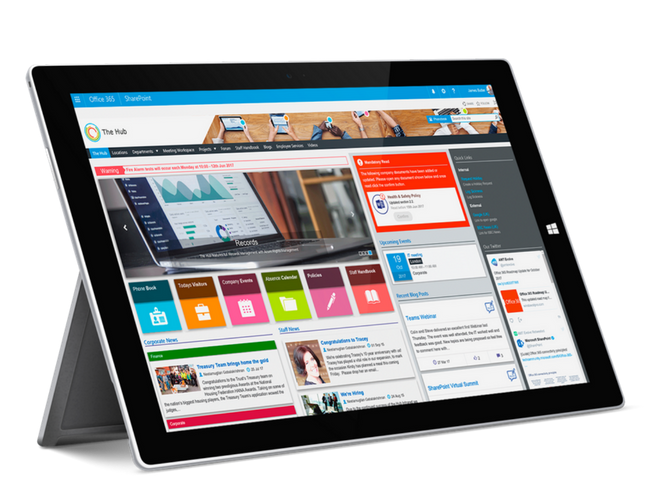 SharePoint is a powerful tool for building a Corporate Intranet or Extranet. It has rich functionality for content editing, approvals and workflows. When the built-in publishing functionality doesn’t quite do what you need, you can use SharePoint Workflows. This tool allows you to create your own custom approval steps. 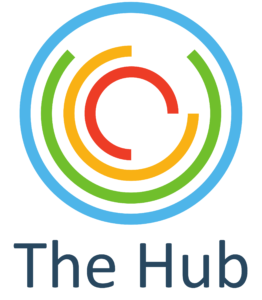 As an accelerator, we use The Hub as a starting point to build new intranets for clients. Rather than start with a blank piece of paper, we are able to demonstrate rich functionality – all built with SharePoint – and use modules that we have already put together to quickly construct a best-practice, highly appealing intranet. SharePoint, like any new technology, needs careful planning and good communication when it is introduced into an organisation. New systems tend to be resisted by staff unless they bring an obvious and immediate benefit. SharePoint is absolutely no different. What The Hub does is to bring immediate improvements to internal communications. SharePoint features include; company news, phone book, quick access to forms and policies, holiday booking and company calendar. Behind all of this, we build team and project sites. This gives your SharePoint implementation a clear structure that serves you well as people begin using it for storage/ planning. These are just a few of the modules available in The Hub. If you would like to find out more about what is available, please contact us and for a full SharePoint demo. We can show you these modules, in action, on a live site. HR – Our HR Records Module records all staff records and teams from initial CV’s and References to Annual Appraisals, Training Certificates etc. Company News – The News module includes a Core News Feed, Scheduled Hompage Latest News, Category and Location specific feeds. Holiday & Sick Leave – Provide your workforce with simple forms to manage holiday and display a company ‘who’s out’ calendar. Recruitment Manager – Recruitment Manager Module features a document management and workflow process to manage the whole process and store records. Training Management – Allow staff to list and apply for courses relevant to their needs, and to keep track of compulsory training. Alerting System – Centrally link your Microsoft SharePoint intranet to your user company email, Office 365, sms or twitter accounts. Post alerts to all channels from one page. Additional Module: Mandatory Read – Our Mandatory Read Module allows admins to assign specific documents to a group of users. This forces them to read and confirm that they have done so. Throughout this whole process, we work with you. We can show you how SharePoint works and put together, training staff on administration and end-user functions, and giving you communication material to help get people on board. Click here to read more, or give us a ring on 0800 849 3018 for an online demonstration.